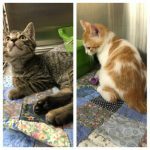 Nemo and Nacho were two kittens living outside trying to fend for themselves. Both have now been adopted! Curtis was rescued from an extreme hoarding situation. He lived crammed into a small cage lying in his feces and urine. 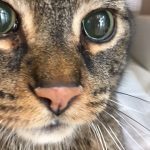 He spent months fighting an upper Respiratory infection. He has been neutered and has now been adopted. 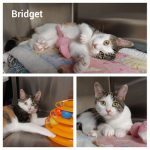 Beautiful Bridget came to FFL with her babies that she was trying to protect outdoors. They have all been adopted. 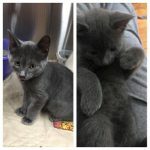 She was now Spayed and has now been adopted! 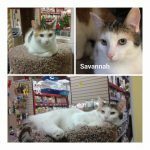 Savannah came to fixed Fur Life with her 3 siblings who had been fending for themselves outdoors. All including Savannah have been Spayed,Neutered and Savannah and Adopted! Bert and Bernie’s owner could no longer care for. Their parents were not fixed and Voila we were born. Kittens surrendered to FFL and parents have been fixed. Bert and Bernie have now been adopted together. Teddy and Toby came to Fixed Fur Life with their 7 littermates. 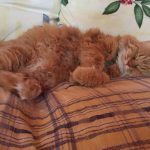 Mom was a pregnant stray. On Admission they were suffering from an upper respiratory infection. Resolved after weeks of treatment and adopted together. Shown here doing well in their new home. 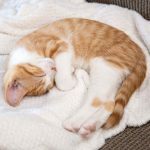 Cheeto now Finnigan came to Fixed Fur a Life with his siblings. Owner was not able to care for. Their mom has now been Spayed. Shown here in his new home! 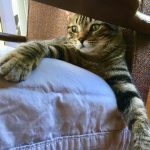 Thor came to Fixed Fur Life as an owner surrender. Neutered. A gentle giant who was so scared when he came in. He required extensive surgery for a retained testicle and then was treated for an infection. All resolved and he has now been adopted. 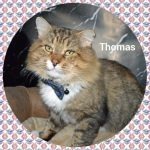 Thomas was rescued as a stray with an abscessed leg. His wound was treated. We neutered. And addressed his dental issues. A very social boy. A real gentleman! Looks very dapper when sporting his Bow tie. He has now gone onto his new home! Theodore and Simon’s mom was a willow. Willow came to us nursing teenage kittens. Surprise Surprise she was also pregnant again. Soon after she delivered 8 more babies. All have now been adopted. 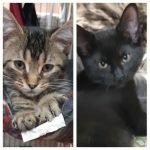 Theodore and Simon were adopted together! 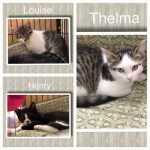 Thelma Louise and Henry came to Fixed Fur Life with their mom who was a stray. She was Spayed and adopted. Thelma Louise and Henry have now been adopted as well. Victoria and Beckham have survived all odds. They came to us many weeks ago severely dehydrated and sick with an upper respiratory infection. As if that wasn't enough they each had a broken leg. Look at them now. 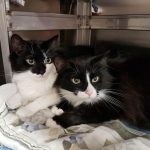 Strongly bonded we were able to find them a home together! Nugget and Magoos mother came to Fixed Fur Life as a pregnant stray. 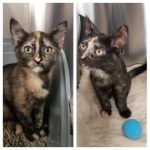 Mom will be spayed prior to adoption. 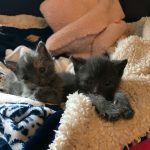 Nugget and Magoo have been adopted together. 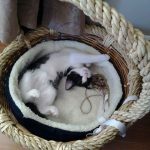 Charlie one of our kitten Alumni shown here quite settled and happy in his adoptive home! 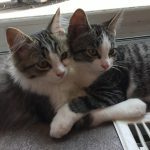 Marbles and Mia are two of our kitten Alumni. We were sent an anniversary pic today to show how well they are doing post adoption. 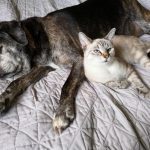 They are inseparable and spend their days cuddling,sleeping and playing together. Sammy’s mother Willow came to us pregnant and nursing teenage kittens. She then delivered 8 more babies. Rest assured she will be spayed prior to adoption. 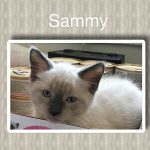 Sammy weaned and has now been adopted. Dixie and Daisy (we named them) were abandoned a couple of weekends ago at one of our fundraisers. Someone witnessed a car in the distance slow down, open its doors and let these two girls out. We are assuming they are sisters. Despite being traumatized by being dumped out of a car they have adapted well and respond quickly to affection. Extremly social girls. 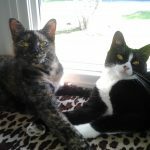 Both were Spayed and have now been adopted together. 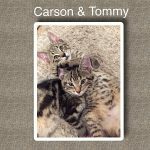 Carson and Tommy were found running in the woods as wee kittens. We were able to get them safe inside. These boys have now been neutered and have been adopted.